A bold casual feature from this season's Emporio Armani collection this long sleeved casual shirt stands out with fantasia and white detailing throughout. 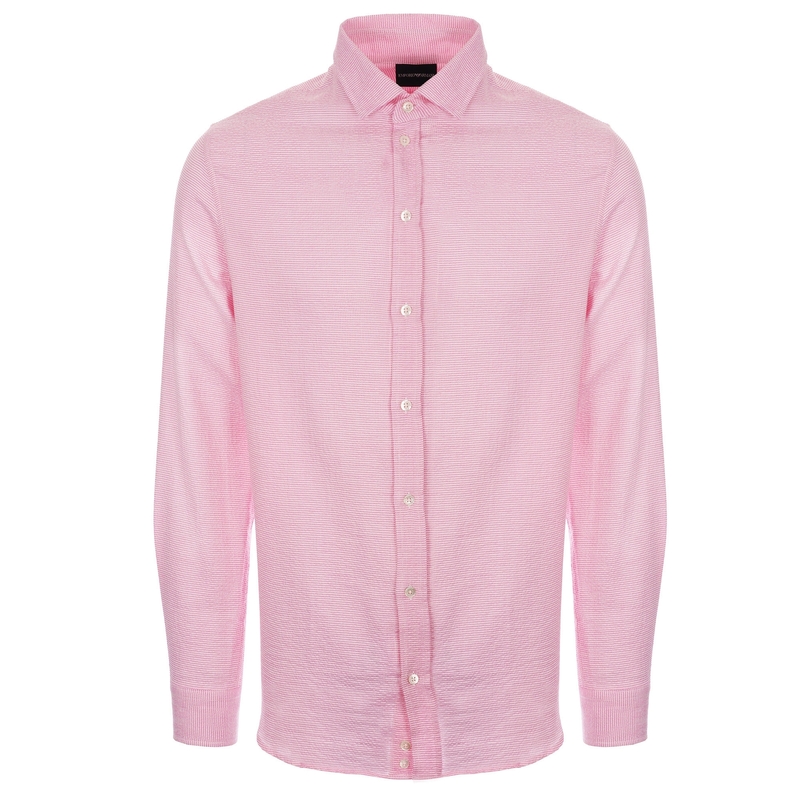 Constructed from a high quality cotton blend that is soft on the touch the piece boasts a modern cutaway collar and button adjustable cuffs for good measure. Finished with a subtle branded woven left to the left side seam combine with a pair of regular or slim fit chinos for a high quality finish to everyday or weekend wear over the course of the coming months.